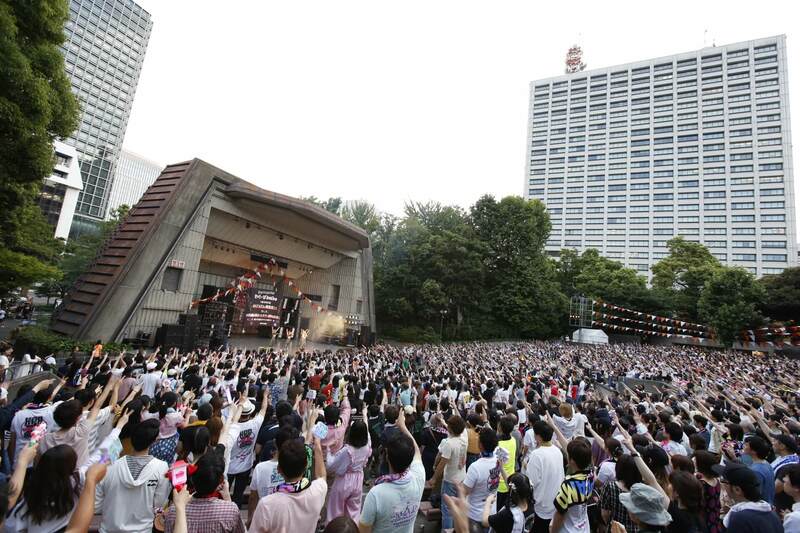 Kyary Pamyu Pamyu held her music event KPP CAMP～Mondai Girl & Negative Boy & NEO～ at Hibiya Open Air Concert Hall on June 3 during the commemoration of the 95th anniversary of the venue and 115th anniversary of Hibiya Park. 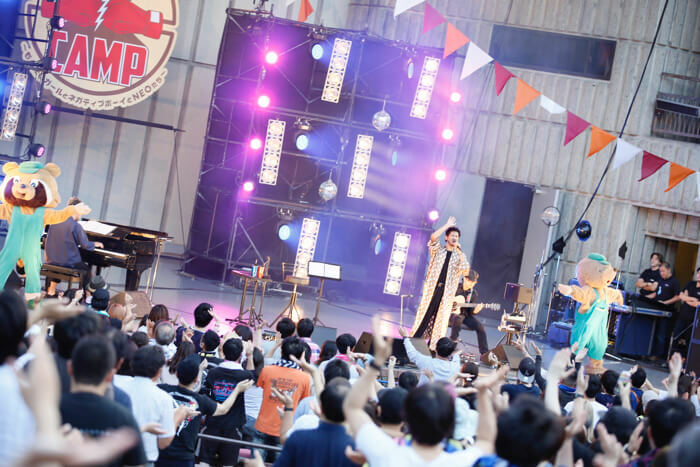 KPP Camp is the first taiban event to be organized by Kyary herself, which is similar to ‘battle of the bands’ where multiple artists perform. Joining her in performing was R&B and pop singer Ken Hirai and rock act CHAI. Kyary has been itching to perform alongside these two artists which is what led to this event. At the show, Kyary announced a brand new album―her fourth in total and the first in almost four years―as well as a nationwide hall tour in Japan beginning this September. 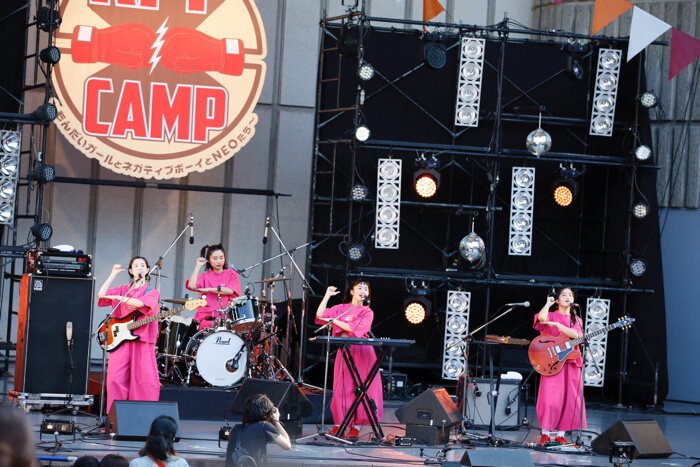 The first act on stage was CHAI, a four piece all-female band whose concept is based around neo-kawaii. The members donned pink outfits and launched the show with the overly-groovy Sound & Stomach. Mana’s soft vocals rode the rhythm as the four members gave a tight performance. 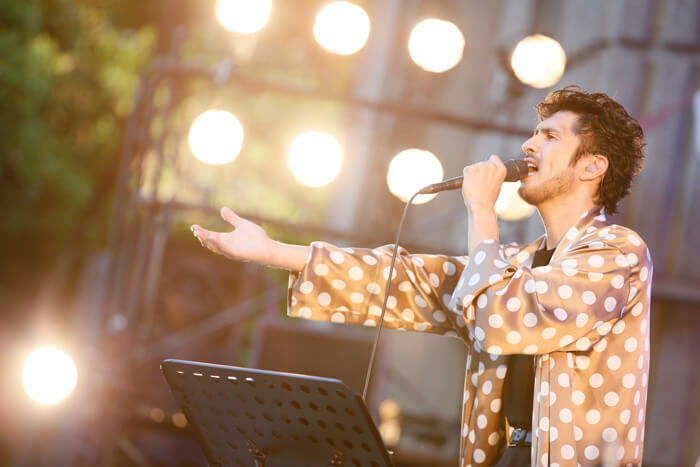 The audience hopped on board the bus of catchy melodies and pop sounds with a performance of I’m Me off the band’s third EP Wagamamania released on May 9. They showcased their unique style with Mana introducing herself in English which the other members interpreted simultaneously, giving rise to a wave of smiles across the crowd. The members then announced, “Having a complex is one’s charm point!” and performed N.E.O.. Each of them then slipped on sunglasses for Gyaranbu before performing the pop tune Future, presenting to the crowd the fun world of CHAI. Yuna spoked with a smile, “We’re happy to be here today at the first even organized by Kyary! Thanks for inviting us!” after which the band concluded their set with sayonara complex. Taking the next spot on stage was Ken Hirai. He stepped onto stage wearing a long gown with decorated with giant dots to the loud cheers of everyone in the crowd. He sang Non Fiction alongside the strums of an acoustic guitar. His relaxed and beautiful voice caused people to involuntarily clap. *Translator’s Note: kimokawaii and kishokawaii is a trend in Japan that refers to things that are seen as both creepy and cute. The singer then went on to perform his two new songs which were released simultaneously on May 30. 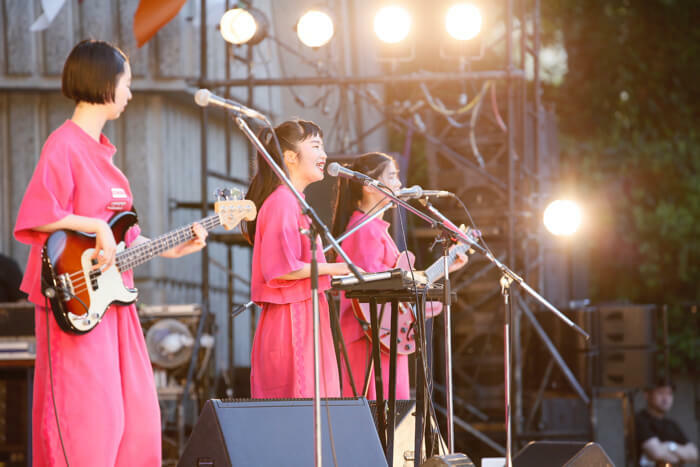 Todokanai Kara captivated the crowd with its beautiful melody as did Shiranain Desho? with its melancholic theme. He then sang Kimi no Suki na koto which he announced as his ‘cutest’ song before finishing with the sparkly pop number POP STAR. Dancers joined him on stage dressed up in animal costumes and pumped everyone up as they moved from the left side of the stage to the right. 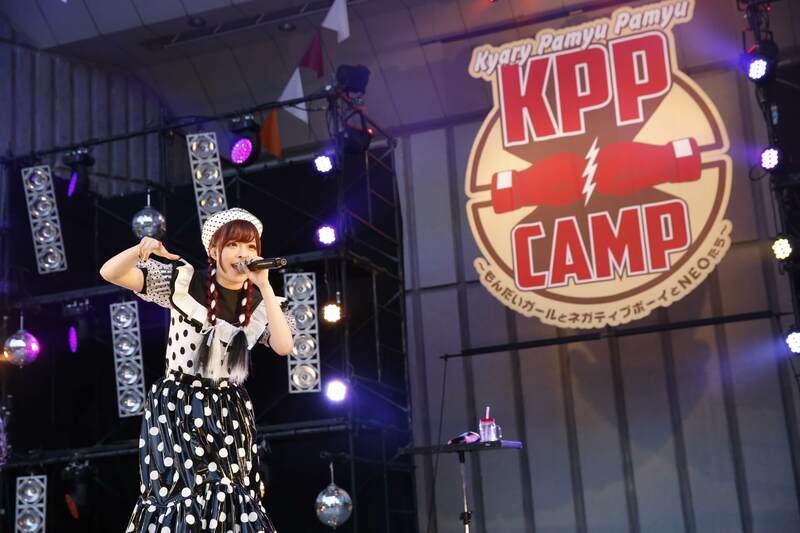 The headliner of KPP Camp was of course Kyary Pamyu Pamyu. She burst onto stage with her dancers for Invader Invader, setting off a bellowing explosion of excitement. The beat of taiko drums then began to sound, signaling the start of her song Mi which offered an exotic festival vibe. Kyary screamed “I’m having so much fun! !” before continuing, “I’ve been watching the whole time off-stage. CHAI have amazing taste, and [Ken] Hirai can really sing! I’m going to give it my all so I don’t lose!” Kyary went into full battle mode as expected at a taiban festival. She added, “I’m wearing dots just like Hirai (laughs)”. Several hit songs were subsequently performed including Ninja Re Bang Bang and Mondai Girl, further adding fire to the flames of the peoples’ frenzy. This was followed by her latest song Kimino Mikata which was released as a digital single in April. Its catchy sound and the dance moves on stage filled the crowd with a sense of unity. Kyary then dropped the powerful rock tune Fashion Monster which wrapped up the main set. She returned to the stage after unending cries for an encore. “I am truly happy to have been able to bring to life this outdoor taiban concert, it’s something I’ve always wanted to do. It has been so much fun,” she said. “I have some big news to announce here!” It was at this point that a huge banner dropped from above. Written on it was the announcement of Kyary Pamyu Pamyu’s fourth album―her first in almost four years―as well as a Japan hall tour with 19 dates set to begin in September. Talking about the announcements, she stated, “The album and preparations for the tour are already well underway. This will be a year packed full of concerts!” which filled the venue with deafening cries of joy. Her last tune was Harajuku Iyahoi for which the crowd all joined in singing the lyrics “one, two, iyahoi!” This marked the end of KPP Camp. 2018 is the year of Kyary Pamyu Pamyu, who is currently in the middle of her third world tour and has just announced a brand new album and nationwide hall tour. Look forward to the new world of Kyary! This will be Kyary Pamyu Pamyu’s first nationwide Japan hall tour in 1 year and 8 months and will take place across 19 locations. Pre-sale Fan Club Tickets (original tickets) and pre-sale Homepage Tickets are now on sale. Members of the KPP Club must apply for Pre-Sale Fan Club Tickets. Non-members can apply for the Pre-Sale Homepage Tickets. 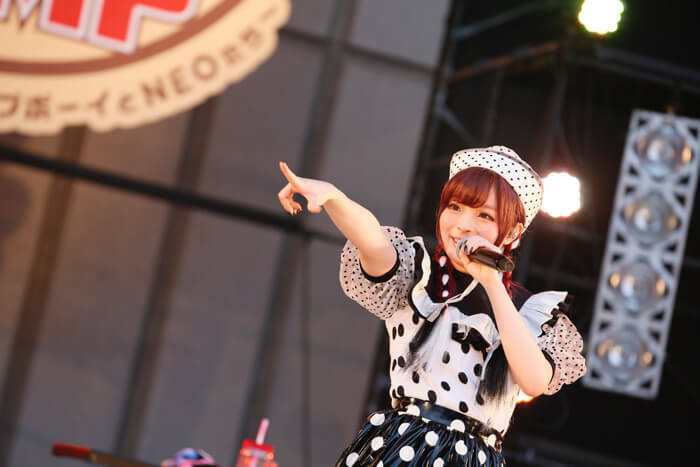 ・Please apply after logging into the KPP Club website. ・For details regarding the fan club, please visit the following link.